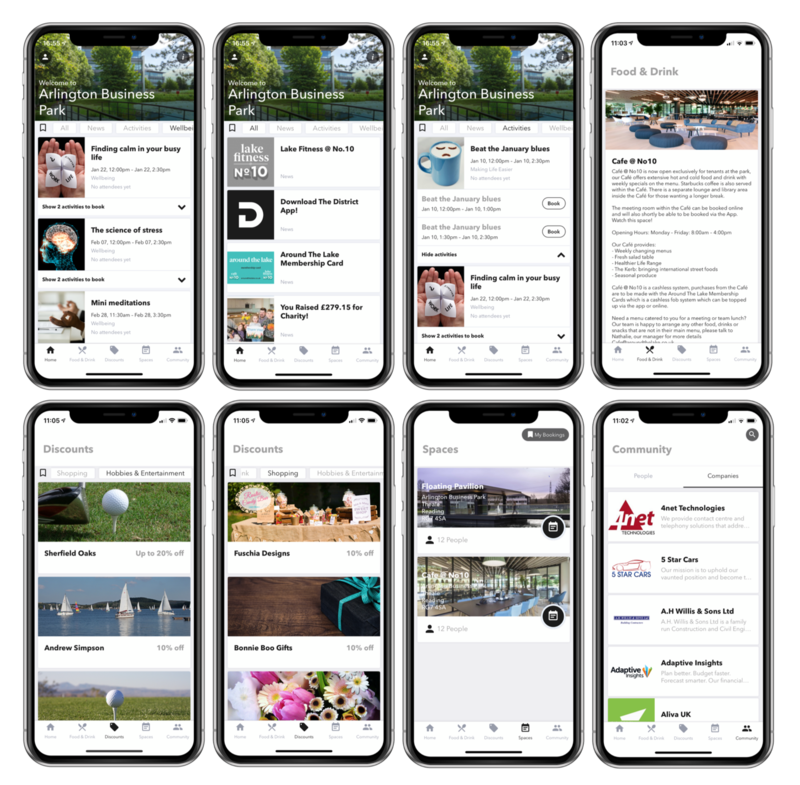 Arlington Business Park has partnered with District Technologies to provide all of our tenants with a park app to give you choice on the go and a fantastic park experience! Via your phone, you will be able to view and book events and activities; browse discounts and promotions exclusive to park tenants; see what’s on at Cafe @ No10; connect with other people and companies in the park; book services; and, you will soon be able to book the Floating Pavilion and Cafe @ No10 meeting rooms. We are working with District Technologies to launch new features later this year to provide our tenants with more choice and an improved workplace experience. Watch this space! To use the app, simply download the ‘District’ app on your phone via the Apple Store or Google Play and sign-up using your work email address.